Finally got a 45 copy of this joint from Tito Puente. Big shout out to El Dj Roger Mas who turned me onto this song about 6-7 years ago. Originally off the “Exciting Tito Puente Band in Hollywood” LP, the only album I believe Tito did on the GNP label. Which may also be why this album is a bit more hard-hitting than his similar work on the Tico label (“Pachanga Con Tito Puente” LP). Eddie Cano, Machito, and Joe Loco also cut records for GNP during the same period. 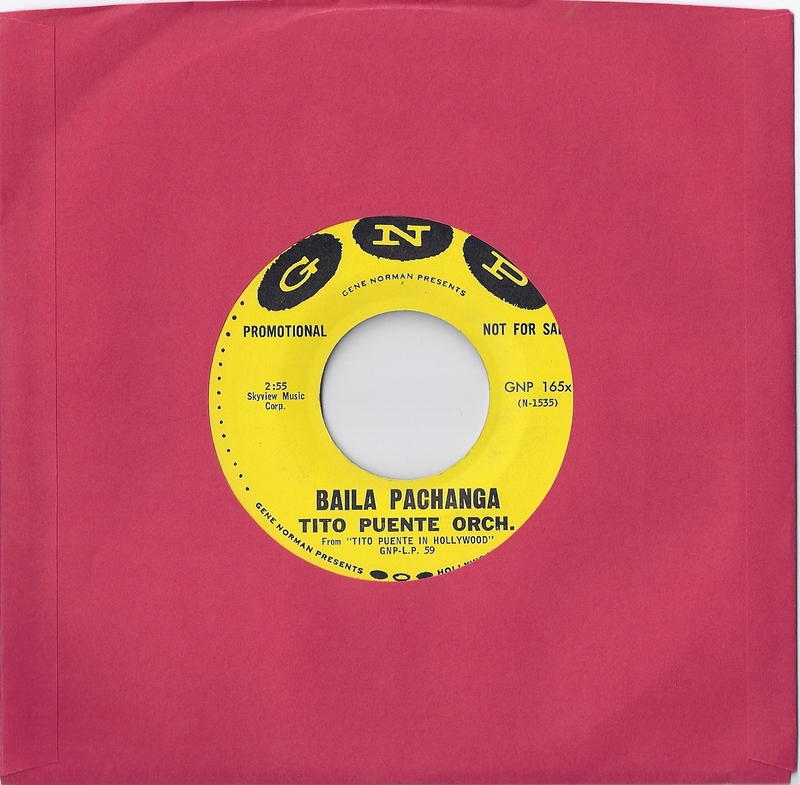 The pachanga was a popular music/dance craze from the 50’s to early 60’s. A hard and fast down-beat originating from charanga instrumentation, and at times considered to be the predecessor to the boogaloo movement. Peep O-dubs article about this genre of Latin music at the Musica del Alma audio-blog. Also, the music and dance from this era is still popular in Colombia to this day. Even international ballroom dance competitions will have a pachanga routine/category.